As with most of New Adult books, Scratch is an emotional romance between two college-aged characters, one of which is scarred and broken. In Scratch we meet Casey and Daniel. In some ways, Casey is not your typical New Adult character. After a violent event in her childhood, Casey closed herself off from people. What I loved about Casey was the fact that she was a DJ. She can pour her heart and soul into her music. Casey is able to express herself with music in ways she can't with people. However, I would have loved to see more of Casey in her element. She loves being able to watch people move on the dance floor knowing that it is her music that sets them free. The change she goes through in the story is remarkable. With Daniel and her roommate by her side, Casey gets the courage to talk about her past and create connections with her classmates. As for Daniel, he was the perfect boyfriend. He wants Casey to be happy and he hopes that she'll find happiness with him. Although, he does go about it all wrong. He pushes her to face her past and nearly pushes too far. The majority of their relationship is focused on Daniel trying to get Casey to tell him the truth about what happened to her family. We learn a lot about Daniel through Casey's eyes, but other than the fact that he's from a loving family, we really don't get to know much more about him. This is one book where I wished we had gotten both perspectives and I think it would have given Daniel more depth. I respected how slowly Casey and Daniel's relationship progressed. They start off as simply classmates before it grew into friendship and eventually, their romance blossomed. I felt that pacing of their relationship was perfect. Never once did I wish they moved faster or wished they would slow down. Overall, I thought Scratch was an enjoyable book with two characters I could find myself rooting for. I wanted Casey to overcome her past and to have some kind of a future with Daniel. 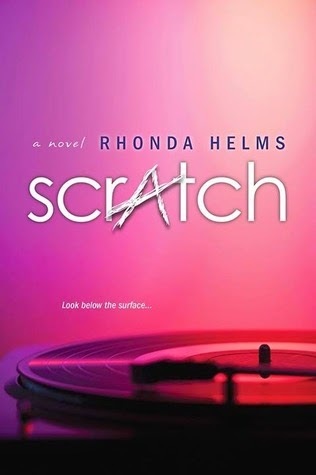 Scratch was my introduction into the author's world and I look forward to becoming more acquainted with Rhonda's work in the future. Rhonda Helms and Kensington created the perfect playlist to go along with Scratch. If there was ever a book that would be perfect for a playlist, this was it. 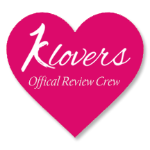 To find the Spotify playlist and listen to the tracks, please click on the link below. My favorite song on the playlist is Say Something by A Great Big World. Rhonda Helms started writing several years ago when she realized she was having far too many conversations with people in her head that hadn't actually happened. She has a Master's degree in English and a Bachelor's degree in Creative Writing. She also edits for Carina Press (an imprint of Harlequin Publishing) as a freelance acquisitions/developmental editor, plus offers freelance editing. When she isn't writing, she likes amateur photography, digging her toes into the sand, reading for hours at a time, and eating scads of cheese. WAY too much cheese.